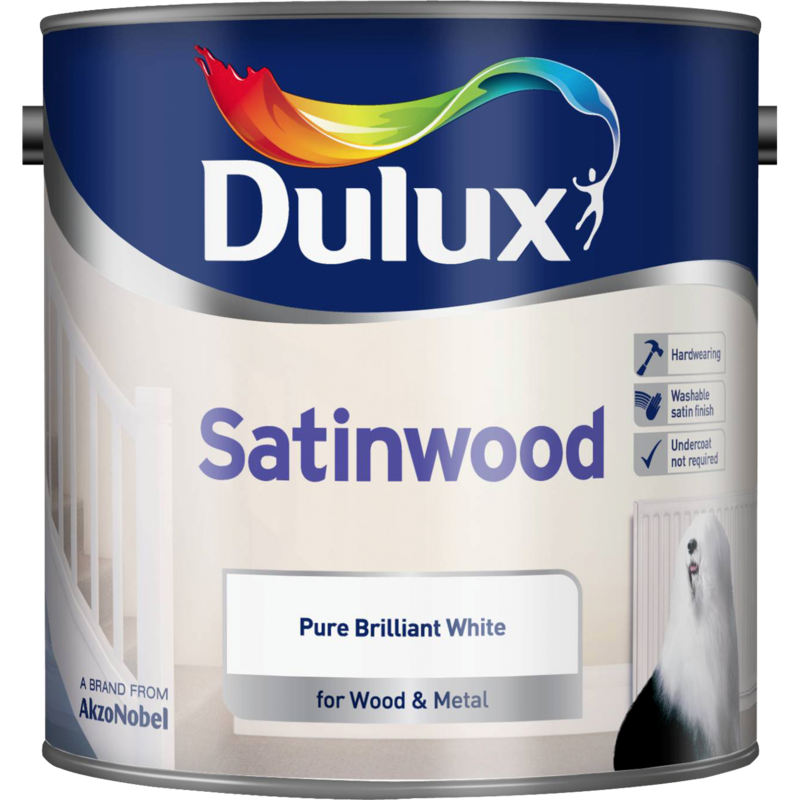 Dulux Satinwood is a beautiful satin finish specially designed for use on interior wood and metal, including radiators. It is a subtle, attractive alternative to gloss. It is just as hard wearing and washable as gloss. Dulux Satinwood is easy to use, it needs no undercoat and can be applied directly over old gloss paint after preparation. Ready for use. Do not stir or shake. Apply using a suitable clean brush. Apply 1 or 2 coats of Dulux Satinwood. Where a strong colour change is involved, 2 or more coats may be required. Do not spread the paint too far. Where a second coat is required, allow at least 16 hours between coats.